Question: Our puppy, Finn, is nearing five months and has decided he doesn’t like our son. He’s begun growling at the other kids too, but mostly as legitimate warnings (rambunctious two-year-old) but is odd because him and the two-year-old are best friends. Our son (who’s six and a half years-old) is probably the calmest and gentlest with him, but now Finn is constantly growling at him and two days ago when he leaned in to pick up a toy that was not Finn’s, Finn bit his hand without warning. Only a few scratches but enough to leave a shaking and crying six-year-old behind. The puppy has been with us since he was seven and a half weeks old and we’ve had no big changes recently. I want to fix the problem right away, especially since I’m having a hard time trusting him with the kids. We have worked on having the kids leave him alone as soon as he growls (but I really don’t like that either). He’s also starting to get possessive about his food, even though NOBODY has ever taken food from him and all of the kids have taken turns feeding him food and snacks. We are at a loss. We really love him but I will not put my children in danger. Any advice at all would be much appreciated. Thank you in advance for your time! I want to thank you for being so clear and specific when talking about what’s going on with Finn. That helps me understand your situation better. I know you’re having a tough time, and you want to make sure Finn and your family live peacefully together. The first thing I want to suggest is what I often suggest when a new behavior pops up without much warning: a visit to the vet. I honestly don’t think anything is wrong with Finn, but new behaviors can indicate medical issues, so it’s worth making sure Finn is healthy and that nothing medical is causing him to engage in the resource guarding behavior you describe. But let’s assume he’s healthy and the issue isn’t medical. “Resource guarding” is the trainer term for the behavior you describe in Finn, and it can be frustrating. Plus, in your case, it’s scary and has already resulted in a bite. I’m going to give you some tips that can help you out, but I would also recommend you find a trainer in your area. 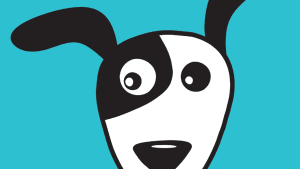 Contact us at hello@fetchfind.com for help finding a certified dog trainer near you. One thing you can start to teach Finn is how to properly interact with hands. There are a couple ways to do this. You could try, but ONLY if you feel it’s safe, to hand feed him his meals. Take a bit of his kibble, put it your hand, close your fist around it and hold your fist to his nose. He’ll try to get the food and if he’s just sniffing and licking at your hand to try and get it, you can give it to him. But if he uses teeth in any way, close your fist around the food and don’t let him have it until he stops using teeth. I’d probably hand feed him his meals for about a week and then start giving them to him in a bowl. However, there’s another teaching opportunity here. As he eats, attempt to take his food bowl away with one hand and as you’re taking the bowl, give him a treat with your other hand. Reminder: as with the hand feeding, make sure you’re only doing this if you feel it’s safe. What this exercise should teach him is that allowing someone to take something from him can still result in really good things. And you don’t just have to do it with his food bowl. You can do it with toys aswell. The important thing is that any time he lets you take something, you reward him with either a treat or a different awesome thing. What will make this training period easier is if you limit Finn’s access to his toys. Instead of leaving them all over the house as so many of us do, gather them up and put them somewhere he can’t access them. Let him play with one for a bit and as he’s playing with it, get another one and make a trade. Again, it’s all about teaching him that something being taken away results in him getting something good to replace it. You can also teach him “leave it” and “drop it” commands. Leave it is simple. Get a treat in each hand and close your fists around them. Put one hand behind your back and the other right in front of Finn’s nose. As I said, he’ll try everything to get to the treat in your closed fist. But don’t let him have it. At some point, he’ll break his focus from the treat. At that point, say “yes” and give him the treat from behind your back (NOT from the hand in front of his face). Don’t tell him to “leave it” – yet. The verbal command comes later. Hopefully, he’ll soon learn that NOT trying to get the treat is actually the thing that gets him a reward. 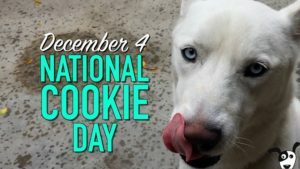 And once he seems to have figured that out, you start telling him “leave it” when you put the treat in front of his face. Don’t rush him and don’t start using the verbal command until he can be counted on to break focus without the command about 80 percent of the time. “Drop it” is like “leave it,” but for when he already has something in his mouth. Give him a toy and let him play with it. Then get a treat in your hand, put it in front of his nose, say “drop it” and he’ll likely let the toy go in favor of the treat. When he does, say “yes” or “good” and give him the treat. Repeat this a few times. Here are a couple final things to consider. You said in your email that this new behavior was pretty unexpected. But I’d be willing to bet that Finn gave warning signs beyond the growling that he was getting ready to bite. Dogs communicate through body language that is often subtle. But if you can learn to read it, you can really start to understand what they’re telling us. I’d recommend reading the book On Talking Terms with Dogs: Calming Signals, by Turid Rugaas. She’s a Norwegian trainer and this book is the definitive guide to dog body language. I think it could really help you understand Finn. Also, you said in your message that you “want to fix the problem right away.” Resource guarding is a tough issue that takes time to deal with. You can’t rush it. I know you want to keep your kids safe and the best way to do that for now is to make sure they don’t do things that you know will trigger the resource guarding reflex in Finn. Don’t let them take things from him until he’s better about letting them go. Don’t let them hand feed him until he knows how to properly interact with hands. 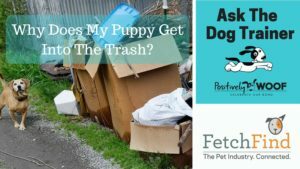 Once Finn’s behavior improves – and it will if you put in the effort – the kids can start doing things like taking his toys or hand feeding him. Finally, I want to reiterate what I said earlier about getting a trainer in your area. 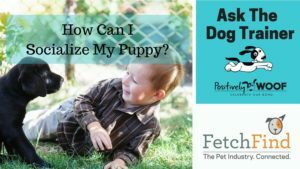 A trainer will be able to observe Finn in action and really get a good idea of the best way to help modify his behavior. A trainer will also be able to demonstrate a lot of the things I described. 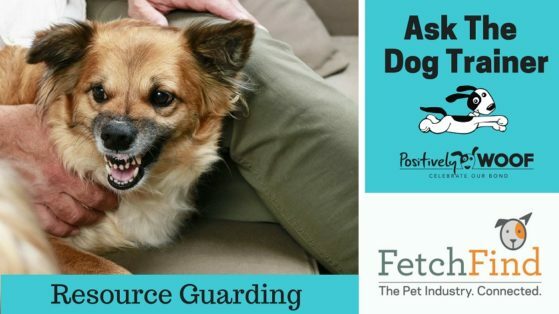 With an issue like resource guarding, a good trainer is invaluable. Last thing, I promise. I know this is frustrating, but be patient. You can do this. Finn can do this. And with time and effort, you and your family will have a happy, healthy and safe relationship with Finn.